What's New with SEMrush Live Update? 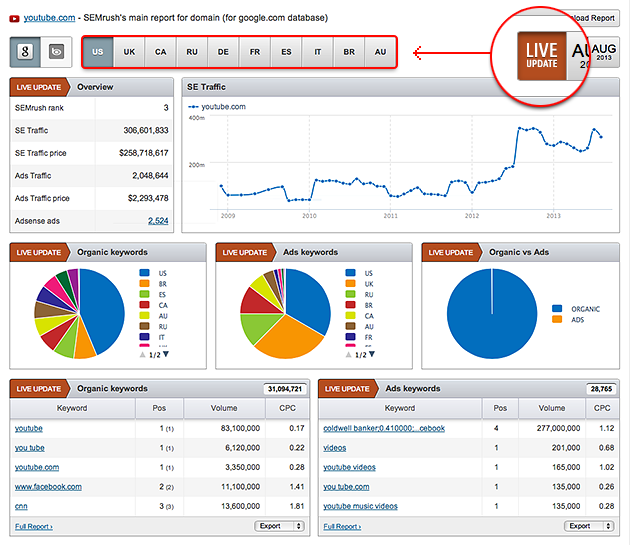 We are pleased to announce that LIVE update is available now for RU, CA, UK, DE, FR, ES, IT, AU and BR SEMrush databases! These smart, rolling, real-time updates help to ensure that you have the data you need, as fast as it can possibly be delivered. Don't miss a discount for your API package!